runDisney has just announced two major changes based on runner feedback, according to their blog. I'm not sure who they asked because neither of these "enhancements" were ever on my list of requirements, but change can be a good thing so let's review. The next change is disappointing to me as someone whose first runDisney race was a 5K. The medals will no longer be those beautiful, full color rubber pieces of art that I treasure so much. 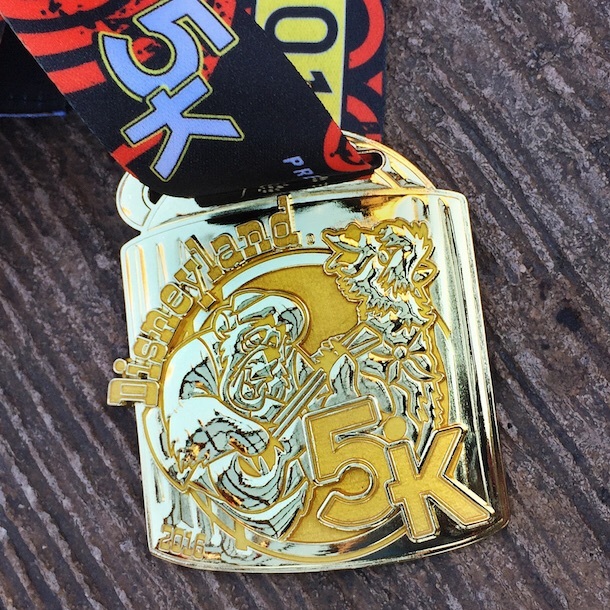 They are moving to a standard metal medal also beginning at the Disneyland 5K this September. I can see how maybe this was something the runDisney fan base was demanding, but frankly it's a little disappointing to me. Those 5K medals were unique to runDisney and simply enchanting. The good news is, the Disneyland Paris 5K medal is still a full color work of art and I can't wait to bring it home! I'm happy runDisney is listening to runner feedback, but sincerely hope they start listening to runners who I'm sure have provided much more substantial feedback regarding future enhancements that make running the races safer and more efficient.